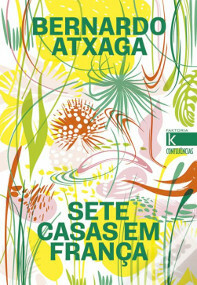 Bernardo Atxaga's novel Seven Houses in France is approaching the 10th anniversary of its first publication (Pamiela, 2009), and we are pleased to announce the Portuguese publication of the novel, under the title Sete casas em França, by Faktoria K (Kalandraka). This is the 12th language that Atxaga's novel has been published in. Other languages include Catalan, Italian, French, English and the latest additions in Albanian and Macedonian.